It is shortly after my interview with Priya Paul, and there’s a knock at the door, behind which waits a courier and the delivery of a heavy parcel. Inside is a gold box printed with the words ‘ANYTHING BUT ORDINARY’, and within that a beautiful black linen-covered case, holding a glossy book celebrating fifty years of The Park Hotels. It’s a statement piece with extracts from Living – The Park Hotels’ magazine – and tells of bold invention, change, risk-taking and fun. 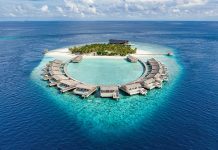 It is the proud reflection of an owner who has driven the business, with precise acumen, determination, charm and humour, to become a globally relevant collection of design-led hotels. And it was in recognition of this monumental achievement that Paul received the Outstanding Contribution Award at the 2018 AHEAD Asia ceremony in Singapore. The eldest of three children, Paul knew from the age of 10 that she wanted to work in the family business. The Park Hotels was founded in 1967 with the opening of The Park Kolkata, the name of the group drawn from the Park Street address of this first property. 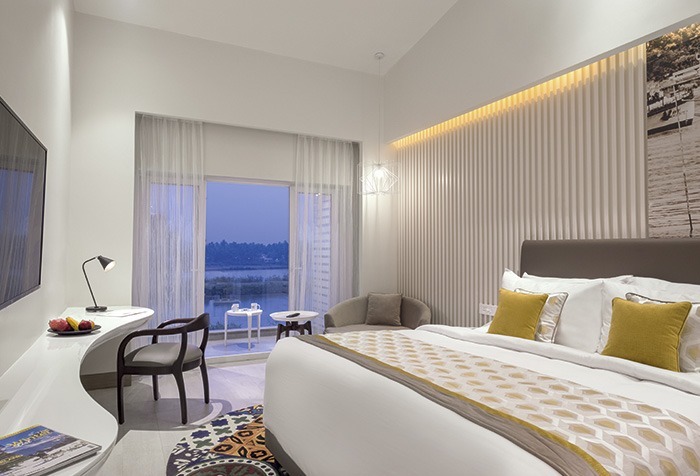 “Growing up in Kolkata, I’ve known our first hotel since I was born,” she explains. The hotels are today part of an Apeejay Surrendra Group which also includes significant interests in shipping, tea and real estate. 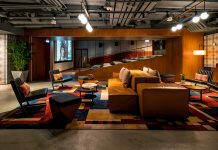 The hotel side of the business now comprises seven The Park Hotels, eight mid-range properties branded Zone by The Park Hotels, and the newly launched The Park Collection, a cluster of smaller heritage properties. Paul went to the women’s liberal arts school, Wellesley College, Massachusetts, whose alumni include Madeleine Albright and Hillary Clinton. “It was very unusual for Indian girls to study abroad at that time but my father didn’t differentiate between son and daughter,” she remembers. Wellesley offered some flexibility in its initial classes, and so Paul meandered amongst a variety of subjects before ultimately settling on her economics major. After graduating, she started working in the New Delhi hotel under the tutelage of her father. “He would spend with me one hour in the morning and one hour in the evening, every day. I was doing everything from sales calls to selling pastries. Things were terrible when I joined. Occupancy was only eight rooms of 149. Those were hard lessons in how to build a business,” she recalls. In contrast, the group’s year-round average occupancy now hovers around 95%. By 1990 she was acting General Manager of the New Delhi hotel, then in its third year, when her father died. “I knew how the hotels worked so I was put in charge of all three. My father had just started the renovation of Kolkata so I took that in hand,” Paul continues before breaking off to chat amiably with our waitress in French – she spent some time studying in Paris. The analogous use of colour is complemented by locally commissioned art, which further guide the hotels. “As a guest I like some idea of the place I’m in, so we work with designers to develop a story. Something local interpreted in a contemporary way,” she elaborates. The managed hotel in Indore, which is only one of two owned by another party, has a subtle rose palette reflecting the horticulture and perfume production of the region, whilst in Chennai, the heart of Indian cinema, interiors by HBA Los Angeles are arranged in the style of film sets, with posters and memorabilia signalling the site’s former life as a Bollywood studio. Whilst her home country plays a prominent role in the design direction of her projects, so too do it’s people, an element of the brand highlighted by Paul’s focus on community. “We should be looking after our neighbourhood,” she says in reference to a co-operation agreement with the Delhi government to light Jantar Mantar, a collection of architectural astronomy instruments dating to 1724, situated adjacent to the hotel. Training programmes are run in all properties, whilst The Park Hotels Navi Mumbai has a school attached – the Apeejay Institute of Hospitality – which runs a public degree course. “Another good way for us to give back,” she notes. Paul’s palpable energy is apparent as we dive into design. “Good design for me is a bit of form, a bit of function and a bit of fun,” she offers, before continuing “and thought provoking.” When I mention concerns over property maintenance, she nods, adding, “I have high design ideals, but I have to be realistic and recognise the returns I can get in India.” Such aspirations can overshadow the practicalities of working in India’s unforgiving climate. Paul contends that she doesn’t make things easy, as there is little replication in design. “You don’t know whether things will work unless you try them,” she argues. And to her credit, this is exactly what she does. “I need designers who can take risks with me,” she states. Her first appointment of Conran + Partners at The Park Bangalore was based purely on the studio’s work in the London restaurant scene. They had done little hotel work at that time. 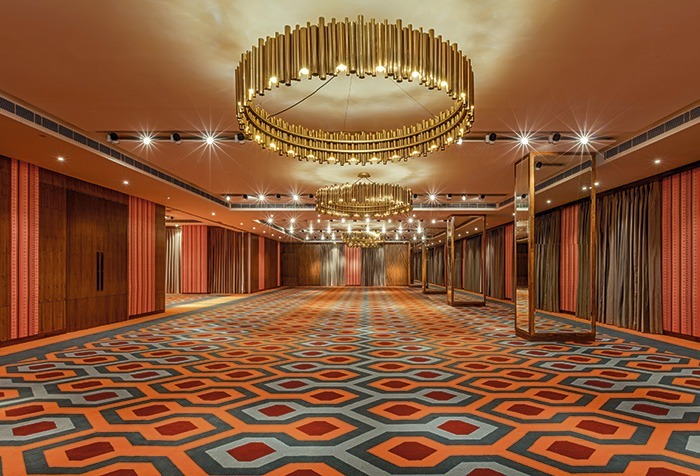 Subsequently the firm has worked on several of the group’s hotels, as has Project Orange. There’s a theme of loyalty and renewal here. And it is not just with overseas designers that she works. The Park Visakhapatnam features a new tower created by Sandeep Khosla Associates. 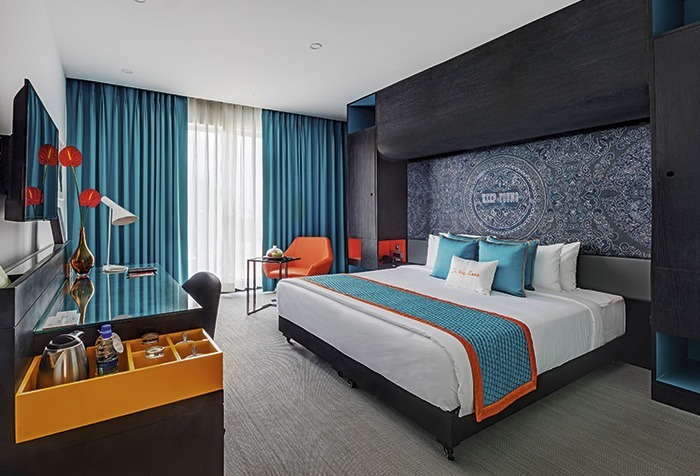 Product designer Gunjan Gupta of Wrap Studio designed the interiors of the A2 restaurant at The Park Chennai, chosen for her fresh perspective and approach, and at The Park Hyderabad – with 270 guestrooms marking the group’s largest property – over 25 local designers were enlisted. 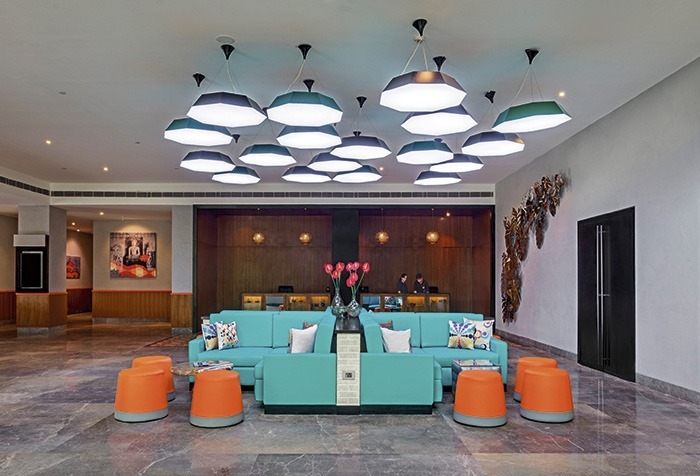 Soane helped Paul develop a new brand, Zone by The Park Hotels, which allows for expansion into fast-growing secondary and tertiary Indian cities with a mid-price offer focused on an aspirational audience. This brand has the essence of The Park Hotels but is a kit of common elements arranged differently at each location. The first eight hotels opened in just three years and there are 15 more under development. The group has since taken a more boutique direction with the launch of The Park Collection, a series of independent managed hotels. “This allows us to do some interesting projects that are quicker to market,” Paul explains of these 20-40-key heritage properties in fascinating places. The first two are in Goa – The Park Calangute and The Park Baga River, both with 28 rooms. Recently opened is The Denmark Tavern, the oldest hotel in India, in Serampore, West Bengal. 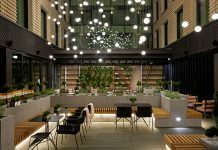 The refurnished building has a bakery and café, courtyards and six high-ceilinged suites managed under an operational agreement with the local government. “All I am missing is a mountain experience,” she muses, though something tells me it won’t be long before such a venture is in the works. Paul has won countless awards for entrepreneurship and services to industry; she is the trustee or chair of numerous boards and councils, but crucially she has introduced a new standard for hotels in India. From the black book inside the gold box, an extract of the foreword by Paul reads, “creativity and innovation are ingrained in our DNA, for our guests this means being continuously delighted by luxury hospitality which is Anything But Ordinary.” Worthy words from a truly extraordinary woman.